Backstory Beads: Do you have a favorite? I wonder if my sister, Janet, knew that October is Visit Your Local Bead Store month when she surprised me with a gift certificate to my favorite bead store for my birthday. 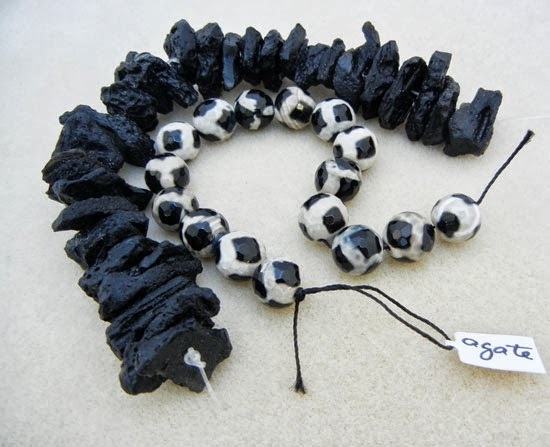 Although my birthday is the first of the month, I exercised great discipline and waited until the middle of the month to head to Augusta and YaYa Beads. I had already contacted YaYa's owner, Lesley, to see if she was up for a challenge. Instead of redeeming my certificate in the usual way, I wondered if Lesley, whose style I adore, covet and (when my skill level allows) strive to emulate, would use Janet's gift to choose some items in the shop for me. When I arrived, a basket awaited , filled to the brim with goodies, in fabulous colors and shapes I would not have chosen myself. I'll be sure to post back here when these make it into my designs. Ideas are already forming! A visit to YaYa Beads is always a treat! Whether I'm indulging my inner traditionalist, or looking to push the envelope, I always find design inspiration from Lesley's made-in-store creations and her latest product finds. And how cool is it that she took the time to hand-select these unique and fabulous beads for me? When I began beading four years ago, there were two bead stores in my suburb of Atlanta. Both have since closed their doors. 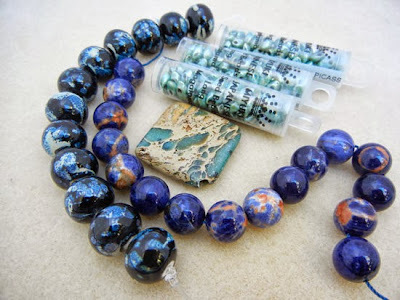 Now, I have to travel an hour north or 90 minutes south, (or in the case of YaYa Beads, 3 hours east) when I need to coordinate colors and textures, learn a new skill, or solicit help dreaming up my next bead project. The camaraderie of fun and creative people eager to share their love of beads is always worth the trip. So, whether your favorite bead store is around the block or across the state, there's still time to plan a visit to show your support this month! Happy belated birthday! My birthday was October ! 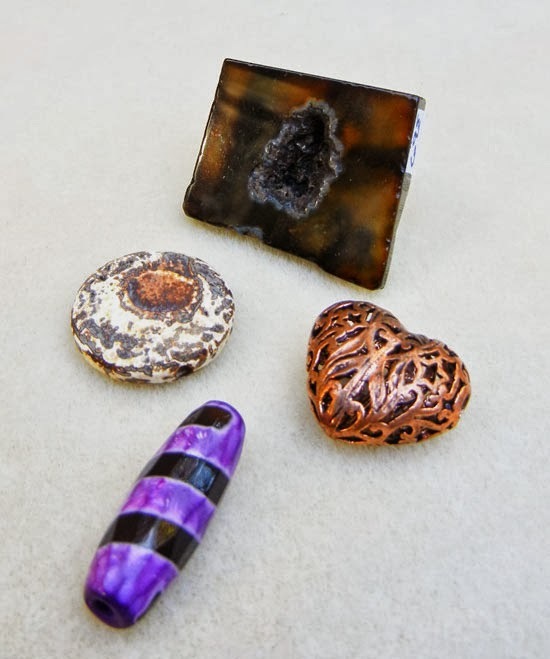 I love the blacks category-are those tektite nuggets? 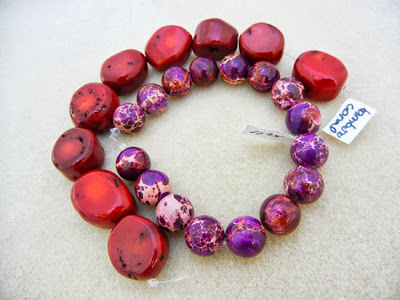 Love the agate, I bought some similar at Bead Fest a few years ago-they are my favorite beads. I look forward to seeing what you create, I know it will be stunning as your work always is! It is always fun when you come to visit, Karin. Your enthusiasm, talent, and skill bring out the best in the beads, and I can't wait to see what you create! I just wish you didn't live so far away! Happy Birthday! and what a way to celebrate! those are some wonderful beads for inspiration - can't wait to see your creations! I LOVE YAYA Beads too! My favorite bead store by far! And Lesley is great! She is my Jedi Master. Happy Birthday, can't wait to see your creations. I just love your work. Karin - happy belated birthday! Wow - I love the selection she made for you! I can't wait to see what you create with all of those goodies!